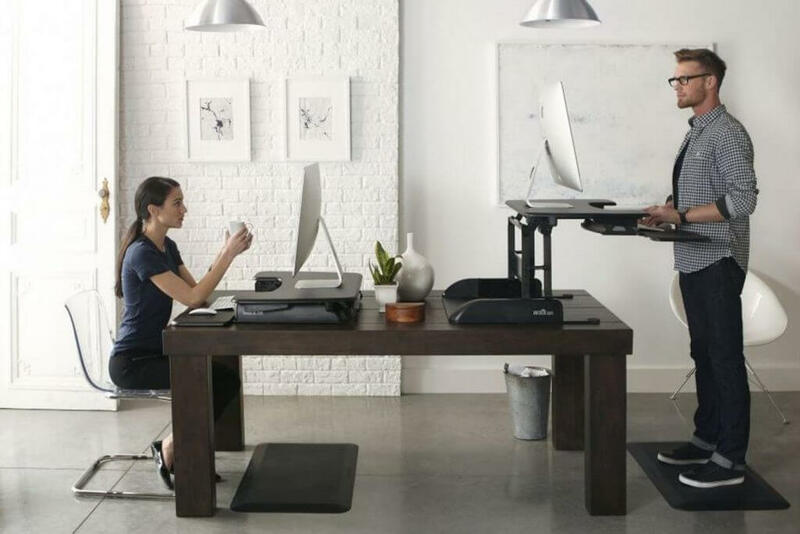 The 10 best standing desk brands 2019 offer interesting choices for the modern office worker. Most office furniture brands offer a standing desk solution. With different prices and varying sales, they have different degrees of success, but they are also slightly different. Ikea offers both a manual and an electric stand desk. Its Bekant desk is likely to be popular through 2019. It is also affordable judging on where the prices for standing desk are at the moment. Ikea has built a standing desk which is addressed to the masses, as it is simple and cost-effective. With a maximum height of 48”, the desk it decent for most people, as long as they are not too tall. Known for its simple and utilitarian approach, the Bekant is true to what Ikea represents, but it is also not the most durable standing desk as affordability was a criterion when designing it. The desk comes with a motorized electric height adjustment. The adjustment is made by pushing a small button. The same goes for any cables from laptops or lamps which can be concealed in the dedicated cable net. In terms of overall performance, it is as expected. It doesn’t come with the top speed but it still offers a reliable 20-second full height adjustment time. In terms of actual long-term use, the standing desk is reliable. However, some users point out that attention needs to be placed on the weight which is placed on the desk. Its official characteristics refer to an 154-pound weight capacity. Even in these conditions, users have pointed out that the desk’s motors should be protected against extra weight for good durability. As for its advantages, the desk is recommended as an entry-level solution for home and office workers. It comes with easy assembly as expected from Ikea and it means users can install the desk themselves. Ikea also offers a 10-year warranty for the desk. However, replacing any faulty parts can take some time as users have previously noted. 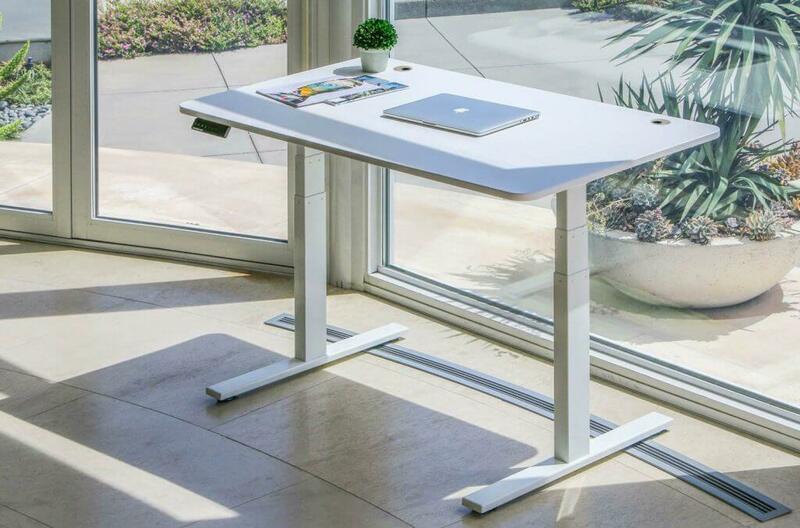 Autonomous is a complete brand offering a variety of products which include standing desks. The SmartDesk 2 – Business Edition and the Smart Desk 2 – Home Edition represent great choices for most office workers. Both standing desks are available in multiple options. The affordable designs can be ordered with different desktops and surface materials such as bamboo, walnut or oak. Both desks can be used to alternate sitting and standing. Apart from the specs on paper, the standing desks are recommended for a healthy variation of the working position. People can stay active even when working and this recommends the standing desk in most offices. Other brand advantages include access to various other products which make office life easier and healthier. The SmartDesk DIY Kit is recommended for those who like to take matters in their own hands. But at the same time, Autonomous also offers a range of ergonomic office chairs which can easily be paired with any standing desk. They can be used in the sitting-standing alternation which is what is recommended by specialists when at work. 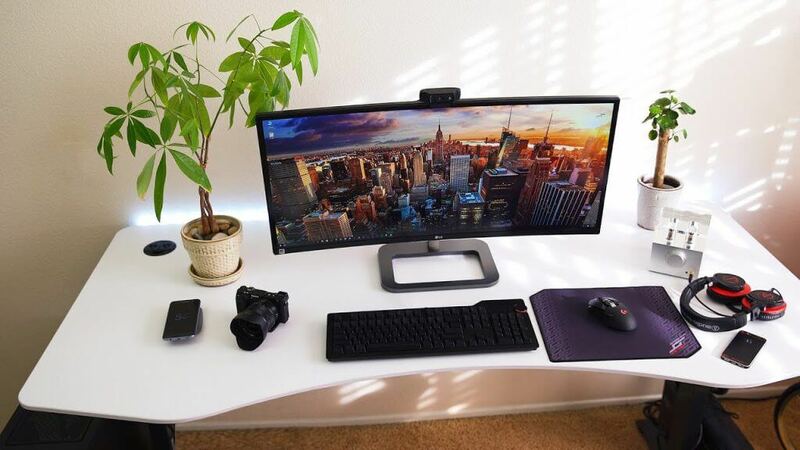 When it comes to popular 2019 options, the SmartDesk 2 – Business Edition is likely to remain a best-seller. 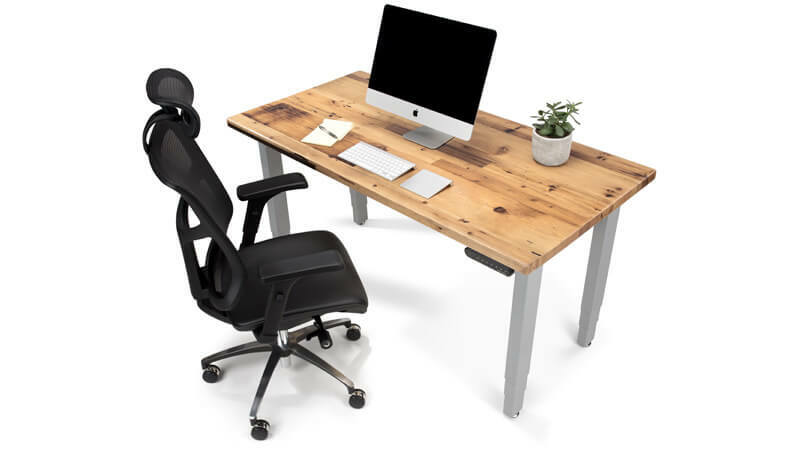 Sent with a 5-year warranty, the standing desk can be easily paired with any type of modern office furniture and accessories. Uplift is another standing desk which can be assembled by the user. It comes in two boxes with everything needed to put it together. One box is for the legs, which are its frame, while the other box is for the desktop. Most parts in these two boxes are covered by warranty for 7 years. The Uplift standing desk can be installed within two hours. Once installed, it can be used and adjusted as needed. The adjustment speed of the desk comes at about 1.5” per second. In terms of noise production, the motors work at 50 decibels. But maybe the biggest attraction of the desk in 2019 is going to remain its larger weight capacity. It can handle 355lbs. This recommends it for users who need to place monitors and even a couple of laptops on the surface, together with other accessories. Its options are not bad either. It comes with desktop material choices which include bamboo, solid wood, whiteboard, and others. All of these desktop options come with two large holes to deal with cables. Those building a new office space can also further customize the way their working space looks by selecting different finishes for the legs of the standing desk. The options include black, white, metallic and gray. 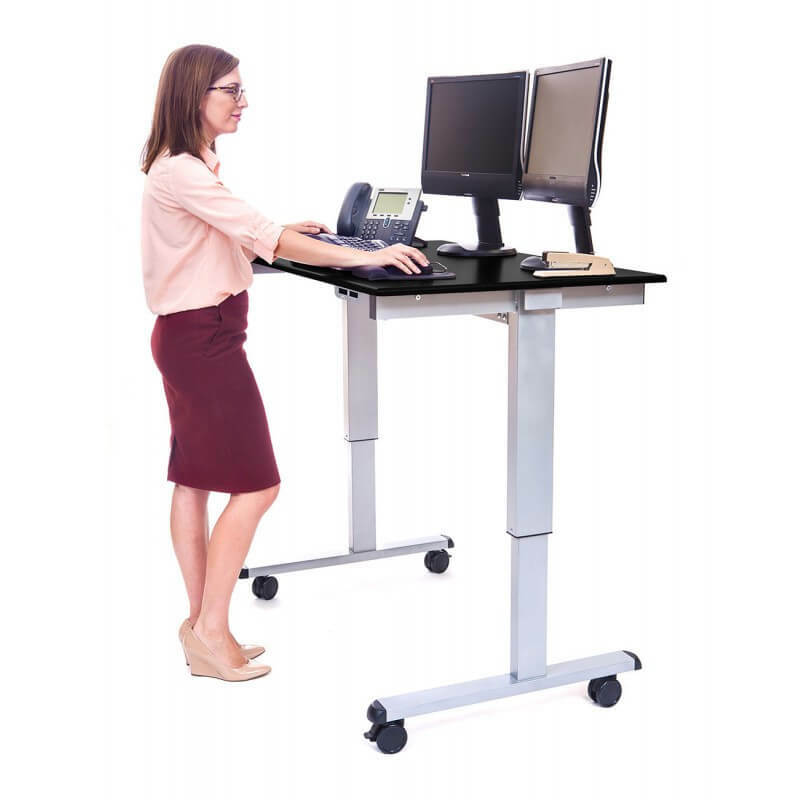 The Jarvis standing desk from Fully is another popular option. While it is not the most affordable design, it comes with a few characteristics which help it stand out. Among these characteristics, it’s worth noting it comes with plenty of customization options. For some users, the customization can be important. It starts with the cable trays which come in three colors. Organizers are also available. They include small drawers for pencils and full drawers for multiple objects. In terms of advanced characteristics, the standing desk comes with full adjustability. It is represented by the memory-stored user height preferences. This way, the desk can alternate sitting and standing with no extra adjustments. 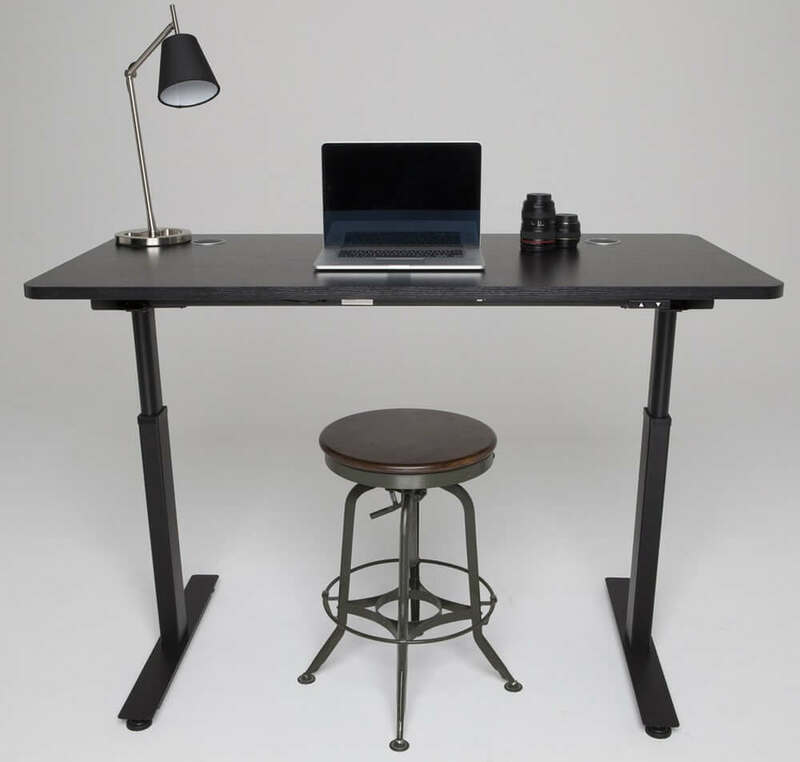 Like many other similar desks, it comes with a height-adjustable dual motor performance. These two motors can handle the weight of up to 158kg. While it is not the most powerful design, this gives it certain advantages such as the low operating noise. The motors have a combined noise level of 50db, which can work even in busy offices. In terms of speed, the dual motors are slightly faster than what can be found on the market with their 3.8cm per second. 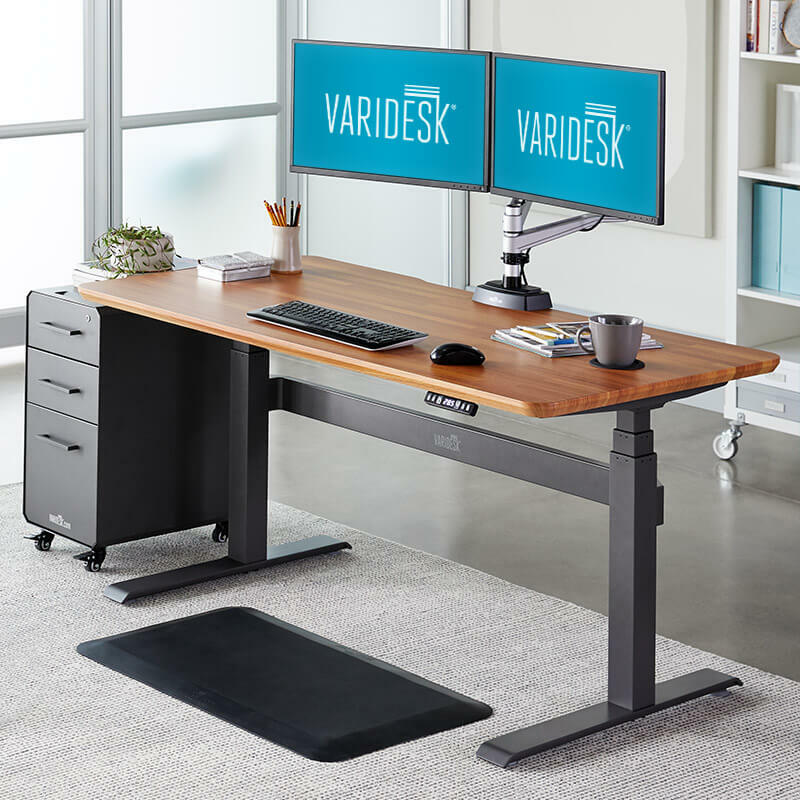 The Pro Plus 36 standing desk from Varidesk comes to replace the Varidesk Pro Plus. Its two-tier design is likely to remain popular in 2019. Its levels are easily used to support the monitor on the top tier and the mouse plus the keyboard on the lower tier. One of the main strengths of the Pro Plus 36 is that it actually sits on a regular desk. 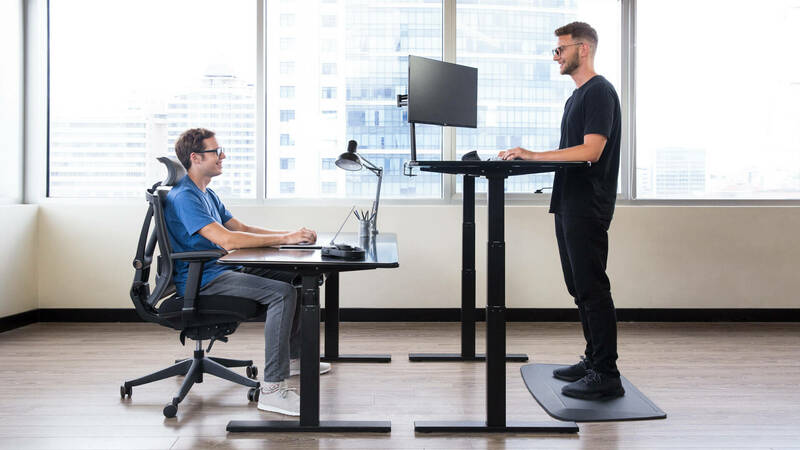 This makes it one of the interesting choices when it comes to mobility and ultimate standing freedom, as it can work on a desk and even on a table. Another distinct characteristic given by its size comes from its pre-assembled shipping. Users can start using it straight away. But it is actually quite sturdy, even with such a compact design. The desk can handle the weight of up 15kg which is enough to fit any type of monitors and a large keyboard. All of these accessories can be height-adjusted for the comfort of the user. There are 11 height settings which can be easily used by those seeking the right posture. The Imovr Cascade standing desk is a popular design due to its versatility. It comes in a large variety of desktops and it represents a solution for the home office space or for business offices where elegance is of the essence. It comes in various colors such as white, red or shark gray. Wood grains are available in light maple, crossfire Java or urban walnut. A few special options are also available for the users looking to stand out. These options include carbon fiber, fibers concrete and studio white dust finishes. In terms of functionality, the standing desk works as expected as it is very easy to use. It also comes with good warranty coverage. Its frame is covered for life while the electronics are covered for 10 years. A few exceptions apply, however. One of the exceptions is the five-year limited warranty on the 3D laminated tabletop. StandDesk is a minimalistic option for those who want to alternate sitting and standing. It comes with two built-in motors which develop an adjustability speed of 1.3 inches per second. However, it has a few drawbacks to consider. Very tall users say it has some issues with stability and this might not recommend them for all workers. Available in multiple colors, the StandDesk is also quite durable with a 10-year warranty. On the other hand, its true strength can lie in its weight capacity. The StandDesk comes with a weight capacity of 400lbs which recommend it for considerable tech equipment and accessories. As its name suggests, gamers should have the Mojo Gamer Pro standing desk. For this purpose, it comes with a design made with a friendly edge which reduces the pressure on the wrist and on the forearm. Furthermore, it also comes with accessories such as a monitor arm, a CPU hanger, and a cable management chain. The desk can be electronically adjusted for height. But its main purpose is to help gamers feel comfortable with long hours of gaming. It is also why it comes in just a few colors which are gray variations. In terms of trust and durability, the standing desk comes with a warranty of 10 years. 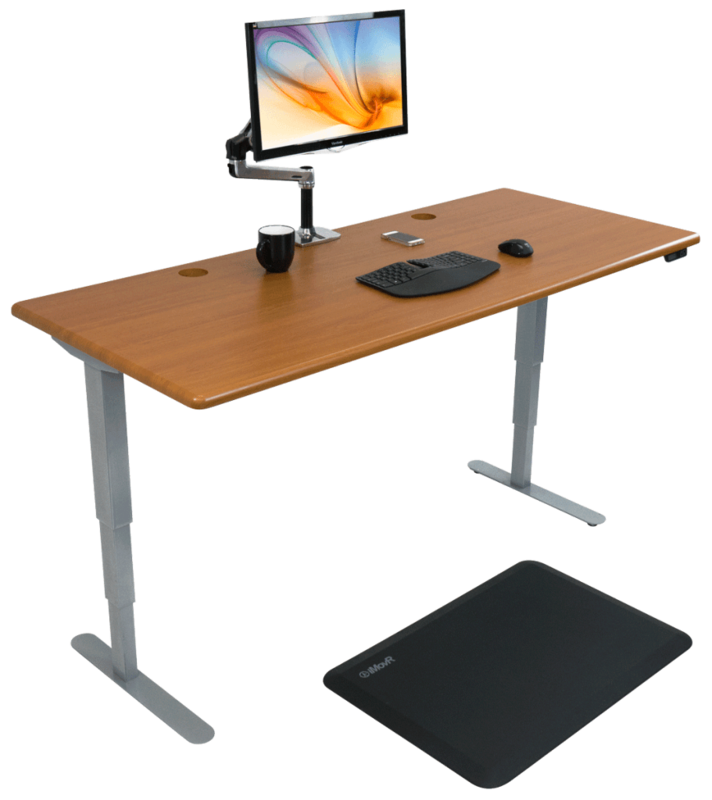 The Apex Desk Elite Series 71” standing desk is another popular choice. It comes with a dual motor system and a steel construction frame which gives it stability. It does not come pre-assembled and users need to put it together themselves, as instructed by the official manual. However, the desk comes with a short 2-year warranty for the electronics which might only be recommended to those seeking an affordable design. Vert makes a series of office products which include the Electric Sit and Stand Desk v3. The company is known for the customization which it offers customers. It comes with plenty of options such as additional drawers, keyboard trays, casters, sizes and plenty of colors to choose from. 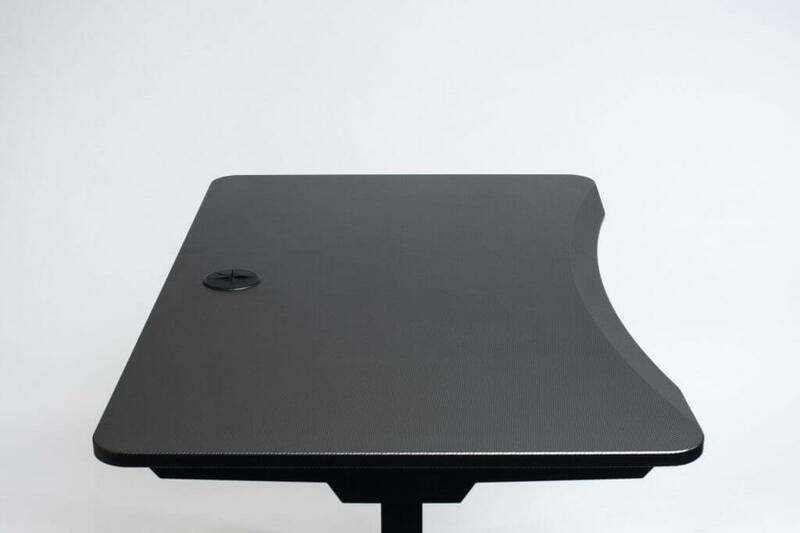 Using programmable digital buttons, users can adjust the desk as they like. The adjustment speed comes at 1.55” per second. Wireless charging is also available at a maximum distance of 6mm. Lander, GeekDesk, and Energize should appear on the map in 2019. However, the ultimate choice is up to the users, who need to establish what is important to them. One of the main characteristics of these standing desks comes with their versatility. If they are easy to use, users are likely to recommend them further. The good news is that once installed, they do not need any attention as long as they are used according to recommendations. For this reason, the desks come with a maximum weight capacity. Users who want to load these desks with multiple large monitors or other heavy equipment such as large printers need to look at these characteristics before anything else. Customization options are important as well. They include the capacity to pick a certain desktop of a certain wooden finish or color. For most users, it also means that they can create an entirely new working space. 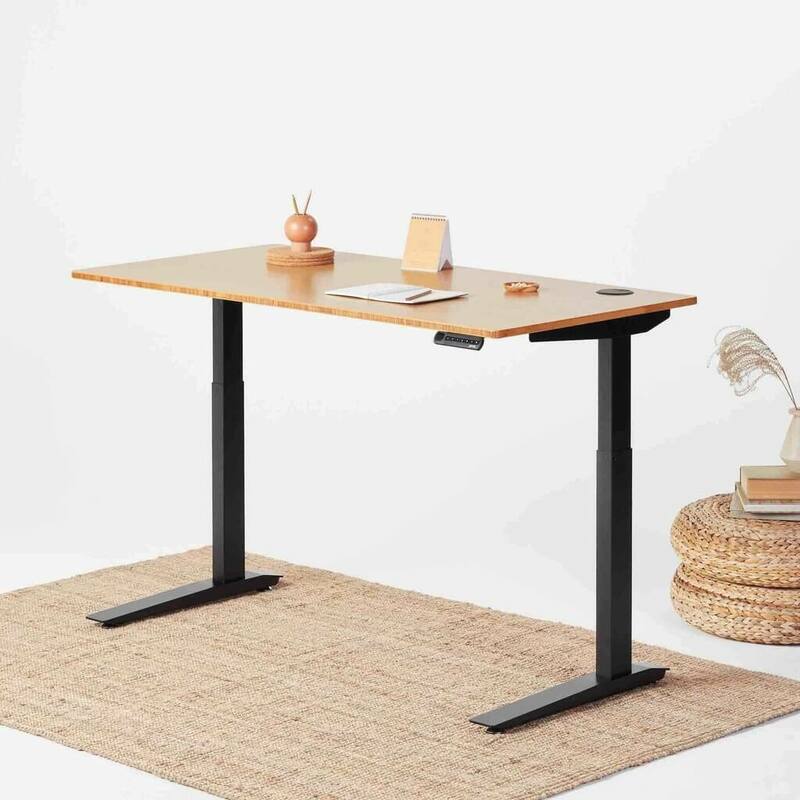 The 10 best standing desk brands of 2019 have their top standing desks already popular. These leading products from the brands are likely to be chosen by office workers in 2019 as well. Recognized for their versatility, they can be used in different environments. Most importantly, beyond figures, these standing desks improve health through posture. A side benefit includes better productivity and an improved energy level where others would fail. Simply put, standing desks are changing the modern office environment. They concentrate on the well-being of the worker and they can certainly be used to fight certain work and posture-induced problems such as back pain. Most of these standing desks can also be used to keep these issues away in the first place.